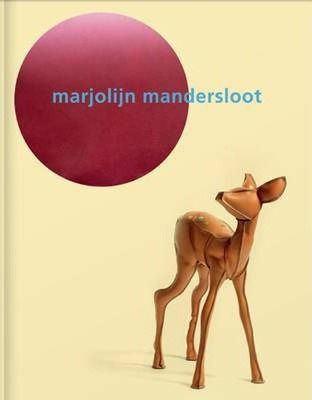 Description: With the sculptures of Dutch artist Marjolijn Mandersloot, we find ourselves in pleasant company. Recognizable human and animal shapes are an important source of inspiration in Mandersloot's work, mainly serving as a metaphor. Rabbits, donkeys, dogs, and bears are formed in a humorous response to the malleable world of this moment. Every sculpture seems to possess a fabulous acting talent--body poses and material expression are used to create unique characters which often elicit poignant emotions in onlookers. The omission of detail, expanding proportions, or the focus on specific parts of the sculpture leads to a pleasant confusion and often even a smile. Ambiguity suppresses narrative recognition and invites a new interpretation, with the sculptures' surprising tactility inviting viewers to explore the borders between imagination and reality. This new book of Mandersloot's work presents her latest projects, including her recent collaborations with the luxury fashion house Hermes of Paris. In the artistic imagination of Marjolijn Mandersloot, perfection does not seem to be a high priority. Her animal and human figures are an example of imperfection.